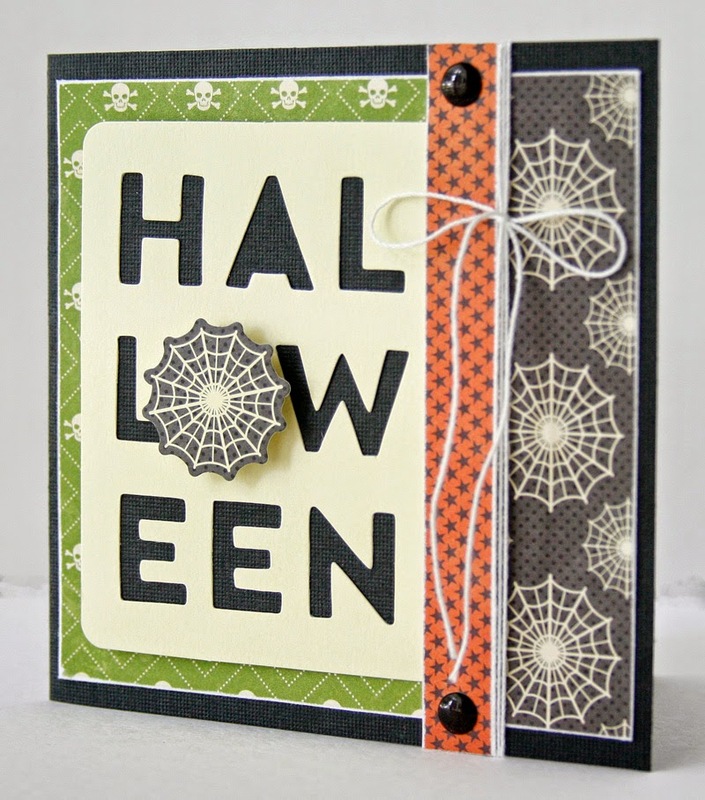 Are you planning on sending or giving out any Halloween cards this year? Maybe you are going to make little treats for neighbors, co-workers, teachers, or friends? Well it’s not too late but you better get a move on! Here are a couple of Halloween-themed cards that might give you some ideas. To make these I started with black cardstock as the base of the cards. The patterned paper is from the Jillibean Soup “Owloween Stew” and “Witches Brew” 6x6 paper pads. 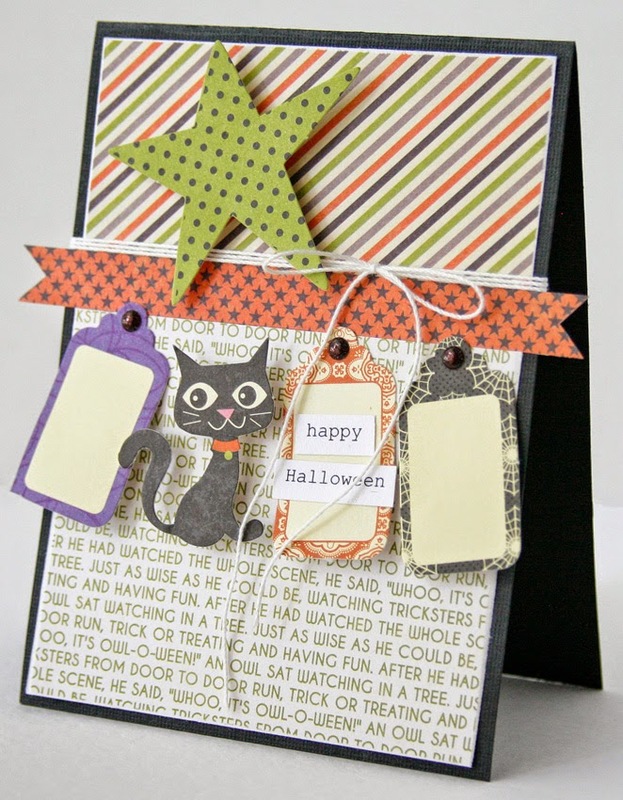 Then I used a bunch of fun die cuts (aren’t the tags & cat so cute?!) and the “Halloween” mini placemat to embellish the cards. I also embellished with string and some of the KI Memories glitter dots for a little sparkle. I used lot of foam adhesive to adhere the die cuts to give the cards some fun dimension. Thanks for looking and happy Halloween!